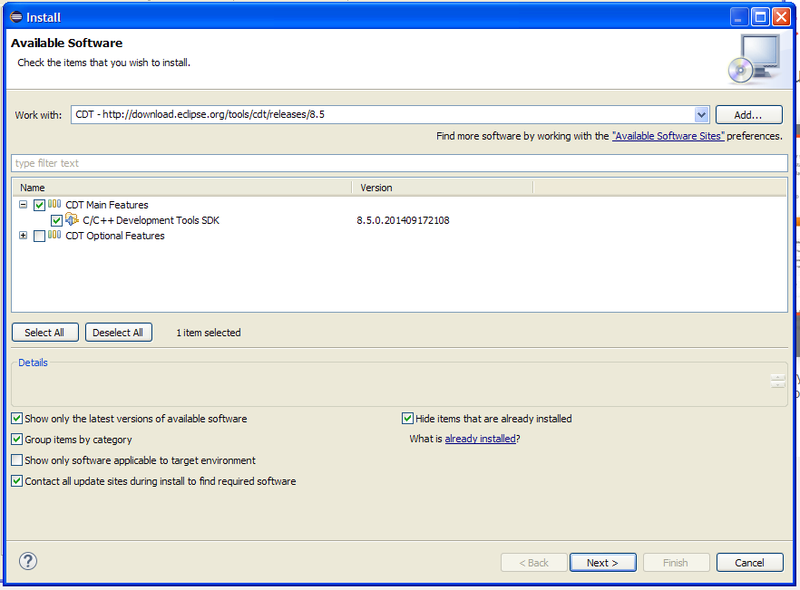 When installing Eclipse, you may need to download & install Java first. 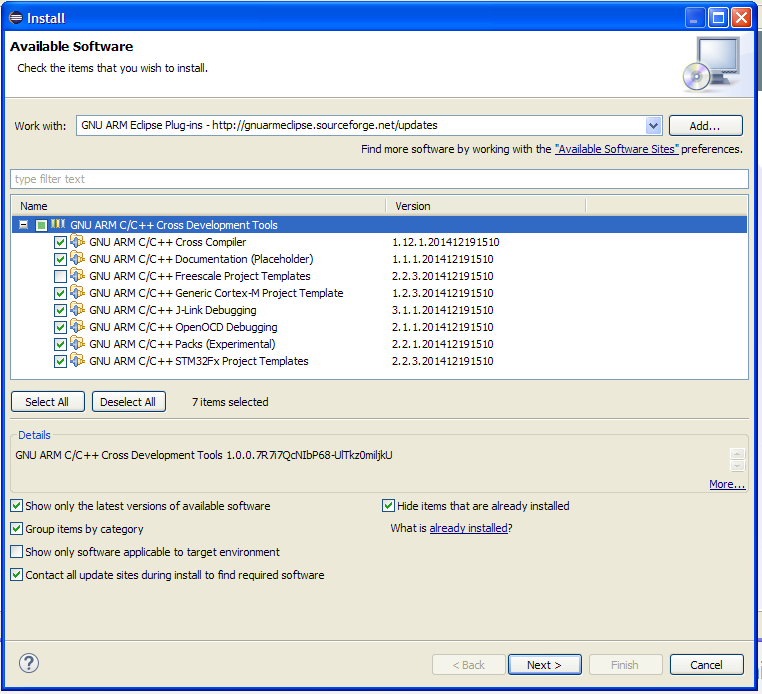 Next, select C/C++ Development Tools repository and check on "CDT Main Features"
Click "Next", follow the instructions, and restart the IDE. 2. 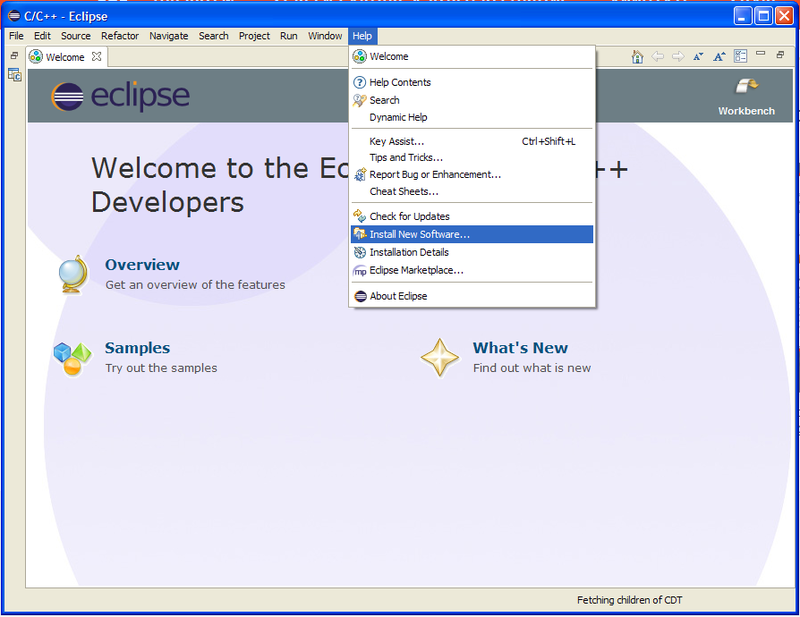 Install GNU ARM plug-ins for Eclipse. Find the installer at developer.arm.com. Important: before install drivers, disconnect the board from the USB port!